Last year alone I spent over $500 testing and trying different brands of wax. From all kinds of wax I've tried, one of my favorites has been liquid wax. If you know how to use a buffer properly, it'll get you the best results for your ride. Here are my picks for the best liquid car waxes of 2017. This particular brand has been around since the early 80s, and unlike many car finishes it is not wax-based, but a highly concentrated and effective synthetic sealant. Here’s the good news/bad news for this wonderful car finish sealant. Ease of Use: Moderately easy to use. So tough they put it on everything from airplanes to emergency vehicles, Liquid Gold L-100 protects your paint from harsh environmental factors like gravel, stones, sand, and road grit/salt in the winter time. There are even a few cases where users claim that they were able to get splashed road paint off their car because it was coated in L-100. In terms of its filling properties, this is a less than ideal product. Unless you are applying it to a clean, never-been-waxed surface that is at least 90 degrees fahrenheit for best effect. Applying it to a botched or old polish job may just cause more swirl marks or enhance the problems in your existing finish. For the car waxing purist, Griot’s Garage Best of Show wax is the real deal. It contains actual carnauba wax like classic car protectants, and it is in liquid form for easier application. Here’s why Griot’s is so beloved of classic and newer car owners. Method of Application: Random orbital or dual action polisher, then microfiber cleaning cloth. Protection: Keeps your finish safe from abrasive road hazards like sand, dust, dirt, small stones, and salt and road grit. Griot’s really puts a classic shine on your car like few other car care products on the market can. It’s got one of the highest carnauba wax content levels on the market too, so even a little bit creates a whole lot of shine. It also produces the gloss that classic car enthusiasts are crazy about, with a mirrored glass finish you could read a newspaper in with just a couple of coats. You can’t really coat your car in Griot’s without some serious surface prep, including “claying” to make sure the wax will distribute evenly across your clear coat protectant. Also, due to the high carnauba content, you may want to consider using a powered random-orbital polisher to apply the product and then use a buffer to get the idea glossy finish. Hand application and polishing is best left to those with experience. Must properly prepare your car’s clear coat or paint to receive finish. Hand application not recommended for beginners. If you want the absolute best looking polish you can get, Chemical Guy’s Butter Wet Wax is definitely one to keep around for making your car look car show ready for a weekend cruise. Here’s the low-down on this car wax. Method of Application: Apply to a freshly washed, still-wet car. Polish, then buff to a mirror finish. Of all the car waxes reviewed, this is easily the one that is fastest and least labor intensive to get the best results. All you have to do is wash and rinse your car, then drizzle some of Butter Wet Wax on your applicator, rub on, polish off, and voila! A perfect, mirror-gloss shine every time. Butter Wet Wax is absolute not intended to protect your car’s finish, so it’s a good idea to have a layer of protectant underneath as insurance. This is really a car show beauty polish for a short term but amazing look. Recommended to have a stronger protectant underneath to protect from dings and chips. For those car enthusiasts who are looking for the perfect protection and shine for their car’s finish, Meguiar’s offers their Ultimate Liquid Wax. It does everything you want a good sealant protector to do, and it requires very little work to keep your car looking great. Protection: One of the most durable synthetic polymer-based car waxes available from general wear and tear road hazards like sand, dust, gravel, grit, etc. This is by far one of the easiest to apply and longest lasting synthetic polymer liquid wax sealants you can buy. It makes your car look like it was poured from liquid glass infused with sunlight while remaining tough as nails. You really can’t ask for more than that..
Not too much to criticize here. Some users may not be fans of applying multiple coats may not like it much, but it is hard to argue with the results. A pure liquid carnauba wax, this is intended as a finishing coat for a multi-coating protectant system, this is also a good choice for waxing purists who want to give their ride that classic wax shine. It’s pure liquid carnauba wax. It is a very specific look best suited to classics and cars that you want to have that reflective shine. It can be a bit of work to get it coated just right, but it is hard to argue with the results of a classic wax look on a classic car. Applying and polishing carnauba wax for a mirror smooth finish is a task that requires patience, hard work, and ideally some power polishers and buffers. You may want to finish up with some hand applied and polished coats once the first base layers have cured as well. Overall, all of these finishes have their pros and cons, their benefits and drawbacks, and choosing one is largely going to be a matter of what each owner decides is best for their finish and their car longterm. However, for my money, I would definitely choose Liquid Glass L-100 for keeping a mirror-finish shine on my car, be it a classic or a newer model. It is very hard to match the ease of use, durability, and overall performance of Liquid Glass, and with diligence and consistent application, you can extend the life of your car’s finish and “brand new” look. 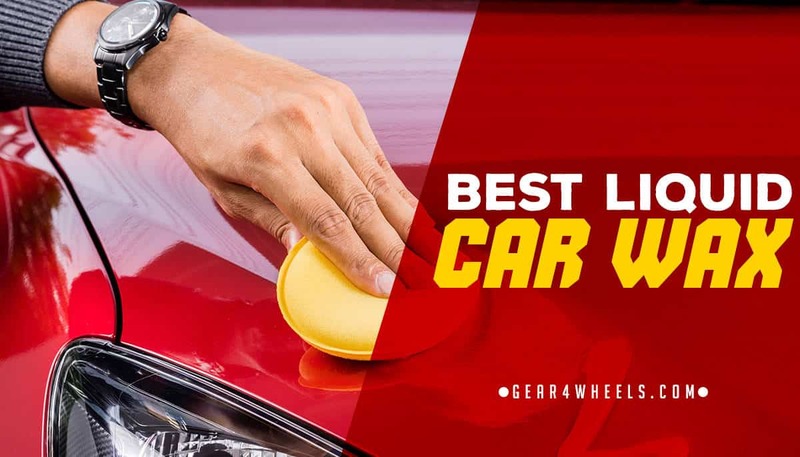 It may be a synthetic, and it may not necessarily provide the exact same look as a traditional carnauba wax will, but it delivers where it counts when it comes to keeping your car’s finish safe and beautiful. Next time you are planning on waxing your car, prep the surface accordingly and give Liquid Glass L-100 a try instead of your usual car wax. I’m very confident you will be happy with the results.